The Boomtown Rats are planning to rock Holywood when they perform at Harmony Live on June 2. It will be the first time the band, which made its Northern Ireland debut in 1977, has played the festival. 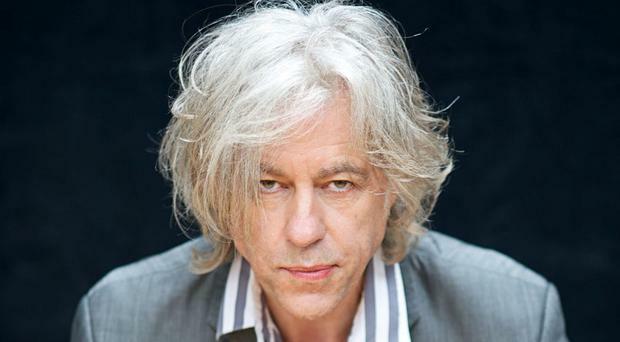 Sir Bob told Sunday Life: “I don’t want to big it up, but Belfast is one of the greatest places to play. Even the younger guys say the best town to play is Belfast, then Glasgow. The band, which is made up of Bob, Garry Roberts, Pete Briquette, Johnnie Fingers, Gerry Cott and Simon Crowe, broke up in 1986 before reforming to play the Isle of Wight festival in 2013 without Johnnie or Gerry. The group, which is planning to release its first album in 30 years, has never been better and the 66-year-old is itching to get back on stage, admitting it’s the only place he can unleash his more extreme alter-ego, ‘Bobby Boomtown’. In recent years, he has spoken about how in one moment he contemplated suicide after his 25-year-old daughter Peaches died from a drugs overdose in 2014. The singer has admitted he wrote the “downsides of being alive” in a list following her death. Now he is looking forward to being back on stage, describing performing as “very cathartic”. “Performing is what I like doing,” he explained. “I do lots of things but the things in my life that I like is playing live — that’s it. We’ve just made a new album and done a big deal with BMG, which is cool. The album is a work of genius, obviously. “You have no idea you are in a good band when you are just sitting at home or writing or recording. Then you walk on stage and suddenly this noise erupts and it’s powerful and driven and the words you are singing just make complete sense. “Bobby Boomtown is a very externalised side of my character. I don’t want to get all David Bowie, but suddenly he comes out. That character is nothing to do with the person. When I do the solo stuff it’s much more internalised. Bobby Boomtown doesn’t give a f**k and that’s very liberating. I get into trouble a lot because of him. As the co-author of Do They Know It’s Christmas, he’s responsible for one of the best-selling singles of all time which raised millions for charity, but Bob admitted he doesn’t actually think it’s that good a song. “You can be listening to Do They Know It’s Christmas because you want to make an immediate moment and it has to work instantly. It must be very literal so here we are living in this cornucopia of everything and you scratch the window and there’s an otherness of want. What do we do about it? That’s that song,” he said. With regards to his new 26-track album, Mega, their first since 1984’s In The Long Grass, he said it would have a different sound. “It’s an articulation of what’s going on inside of my life,” he added. “We’ve done 26 songs and I made a solo record in the middle of the year. I go into a different headspace when I do stuff with the Rats. But while his music has always had a political edge, Bob thinks that today’s charts are less influential in terms of rousing the masses. He explained: “The problem is music is very ephemeral these days and there doesn’t appear to be a lasting value to a lot of the music. Rock ‘n’ roll is no longer the central spine of the culture, which it was. The reason of that is because of new technology. By that I mean everyone watched Top of the Pops. Music was a shared culture and that was the glue. You were part of a tribe with a shared idea. “When I was 16 I was into The Who, The Kinks and The Stones, I was looking at what was happening with the Vietnam War and I was interested in apartheid. “I was working with the Simon Community and poverty because of the music from Bob Dylan and Mick Jagger. It was a universal culture and we understood the same language. That doesn’t happen now because of the diffusion of the medium — there has been a dilution of the message. Tickets for The Boomtown Rats on June 2 are £33.50 and available from www.wegottickets.com, Garry’s Barber Shop and Homebird in Holywood. For further information on the festival, visit www.harmonyfest.co.uk.